Today on the blog I have Andi Adams, author of The Girl in the Glass Box! This is an awesome YA novel that re-imagines the Snow White fairy tale with a fresh perspective. Part of that change is moving away from the traditionally-defined Happily Ever After. Now, in romance, we have a fairly rigid definition of HEA/HFN, and it has to be based on romance (no matter who the partners are or how many). But that’s not the only way to be happy, and Andi talks about other paths you might take, both in writing and in life! When I was writing this book and constructing the plot from start to finish, I spent a lot of time dissecting what makes a fairy tale a fairy tale. Basically, we all know that it boils down to the heroine always finding her happily-ever-after (HEA), most often in the shape of a brawny lad who whisks her away to a far away castle to be a housewife or arm candy or something like that. Now this works for a lot of stories and certainly has its place in genre fiction, but I spent a good deal of time considering this convention in the scope of my own story and how it should/shouldn’t function in the plot. I know, as I was growing up, I envisioned that my happiness too would come in the form of a Prince Charming. But why should our happiness be derived only by the presence of someone else in our lives? Don’t get me wrong, companionship and friendship and marriage are all wonderful things that can add such joy to a person’s life. We see it play out in romantic fiction and film as a fulfilling, though sometimes trying, characteristic of a well-rounded life. But why are we being taught at such a young age that this happiness is dependent on another person? You see the difference? It shouldn’t depend on anyone but ourselves and that is one of the core themes I wanted to emphasize through this novel. And I think good romance addresses this idea as well. The most gratifying romance stories is how the individual hero and heroine are improved by the presence of the other, but not necessarily made by the presence of the other. That distinction is paramount when considering complete character arcs and thoroughly-formed characters. And most importantly, I believe that happily-ever-after is a relative term and is all a matter of perspective. For many, the traditional idea of marriage and raising a family is the realization of achieving an HEA. But for many others, it’s not. Maybe success in a career is someone’s idea of an HEA. Maybe being a positive influence in someone’s life is a person’s ultimate HEA. Maybe being able to travel around the world meeting new people and learning new things is someone’s greatest HEA. Who knows? The possibilities are endless and that’s exactly the point. It doesn’t just boil down to the idea that marriage = perfect life, or that the inclusion of one charming dude is enough to make all problems disappear. That’s simply unrealistic. I just think it’s necessary to articulate that, unlike in the portrayal of most Disney films, we shouldn’t need someone else in order to find our life’s greatest fulfillment. We should have the ambition and drive and self-worth to find it in ourselves. And if a studly, Chris Hemsworth look-a-like should come to sweep us off our feet, so much the better. But if he doesn’t, I’m pretty sure we’ll be just fine. Andi Adams writes, teaches, gets excited about performing random acts of kindness, invents words, and talks with strangers, as often as she can. 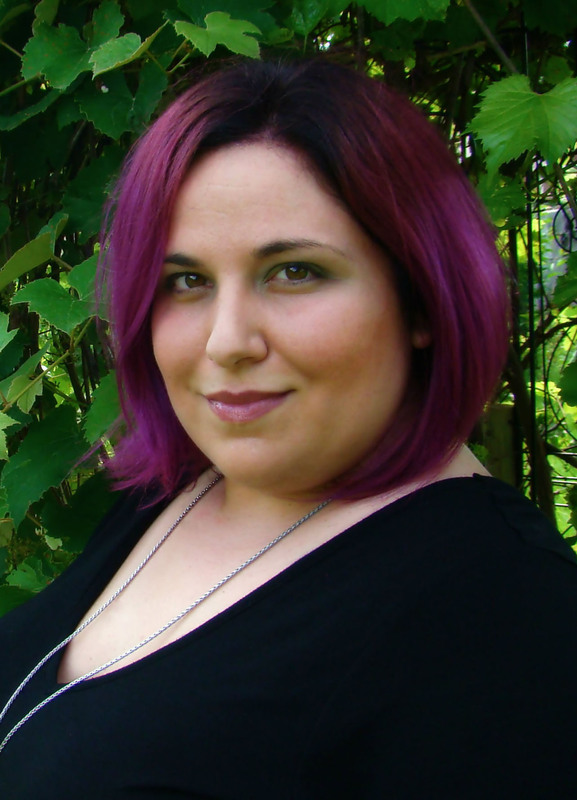 She loves learning about the world, about others, and about herself, and uses that knowledge to write realistic fiction – everything from YA Fantasy to Women’s Lit. She has a passion for travel, for all things Harry Potter (of course! ), and for her two dogs, who are also incidentally her biggest fans. The Girl in the Glass Box is Andi’s first novel. ← So You’ve Finished Your Novel. What Next?